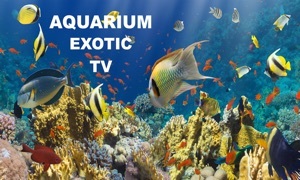 MyReef 3D Aquarium TV Lite for Apple TV by bitbros Inc.
MyReef 3 Lite is a saltwater aquarium that fits in your pocket – customize your tank and interact with the fish, or just sit back and enjoy life on a beautiful reef. 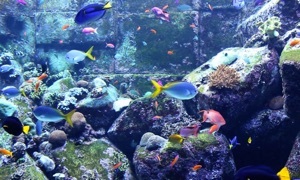 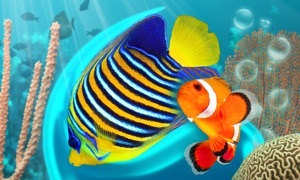 Featuring 13 types of vibrant tropical fish, MyReef 3 Lite includes species-specific movement and interaction. 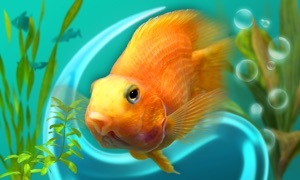 You can individually select the inhabitants of your aquarium, feed the fish, and even annoy them by tapping on the "glass". 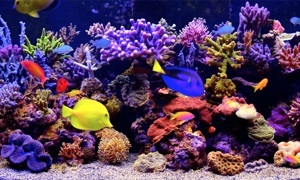 It’s never been easier to enjoy the benefits of an aquarium – from stress relief to learning about fish care, MyReef 3 Lite puts it all in the palm of your hand!